Created in 1996 and inspired by nature, the luxury brand Phytodess combines natural ingredients and hair expertise to reveal and enhance the beauty of your hair. In 2015, Phytodess became the Group’s fourth brand. The products contain mostly natural active ingredients and are sourced in a responsible manner that favors solidarity, respect for biodiversity and the development of local economies. 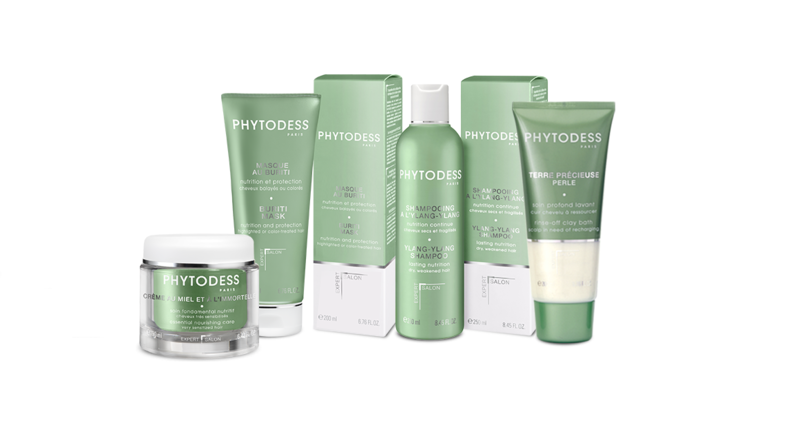 Phytodess, distributed in DESSANGE and Camille Albane salons, continues to develop outside of the Group’s networks and outside Europe. Beauty care for the scalp and hair that combines the benefits of natural products, luxury styling and hair expertise.